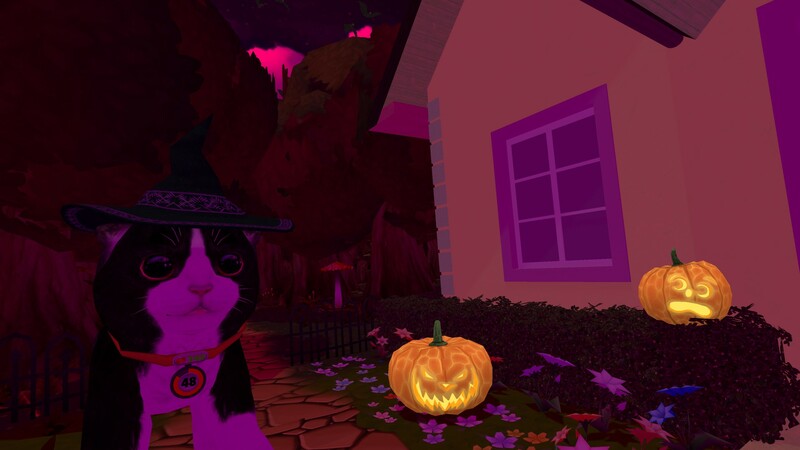 Konrad the Kitten, the first Virtual Reality cat tamagotchi, gets a new Update. Patch 1.4 "Get Spooky" adds some Halloween themed things to the game that create a spooky atmosphere. Additionally, the patch updates the Engine Version from Unity 5.6 to Unity 2018. This is a big leap and makes the game ready for future patches. The new Halloween event will now happen every year in the last 2 weeks of October. The Warpzone and the Forest area will change and provide a new spooky music and a different sky. 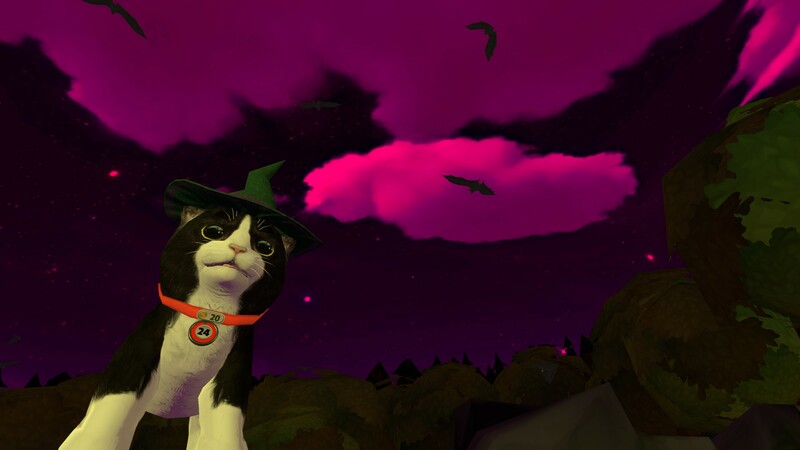 Bats are roaming the skies and a new hat for the kitten can be found in the dress room (on top of the center wardrobe). A cemetery has appeared in the forest and spooky pumpkins are everywhere. 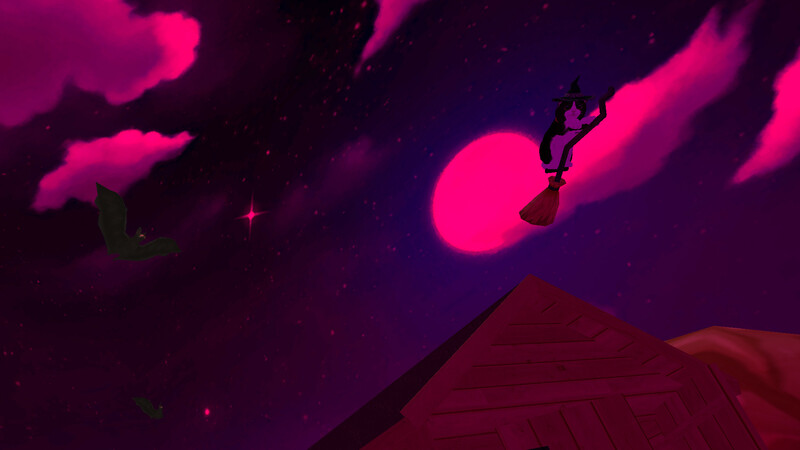 But a new funny attraction has also appeared: The broom! If your client hasn't updated already, it should happen this night. We wish all players a happy halloween.